There’s a lot of pride involved in doing what your dad and grandfather did – so say 3rd generation citrus growers Mark and David Wheeler. Growing up watching their family tend to the groves, Mark and David didn’t just learn what it takes to run a successful business, but also learned a love for the family trade. And with over 50 years of Florida Citrus-growing knowledge passed down through multiple generations, the Wheeler family is building a true legacy. 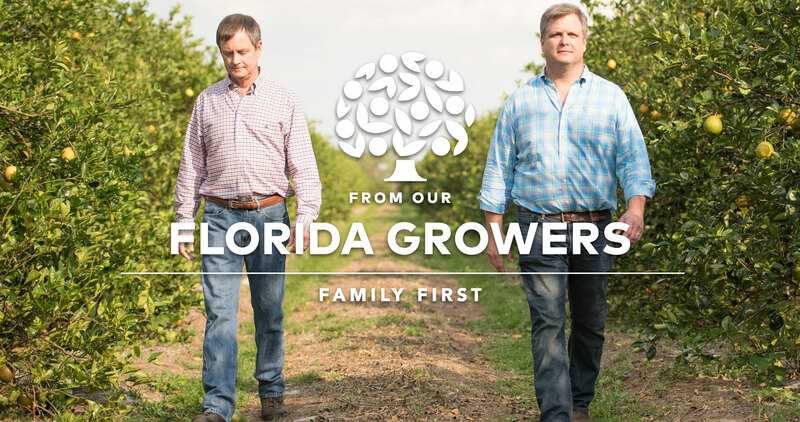 Based in Ortona, Florida, Mark and David are part of a resilient community of growers tackling the issues facing the industry. But it’s the family bond between the two brothers that keeps Wheeler Farms strong. While running a business and keeping the family together at the same time can present plenty of challenges, the Wheeler brothers are united in facing all of those challenges together.